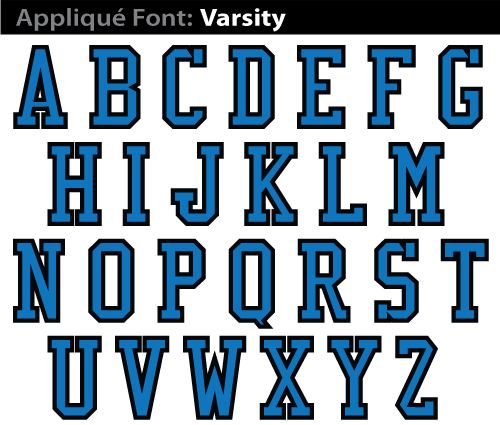 We can utilize any of these fonts for the lettering in your applique design. 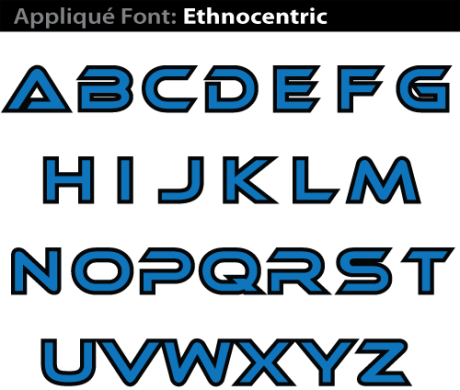 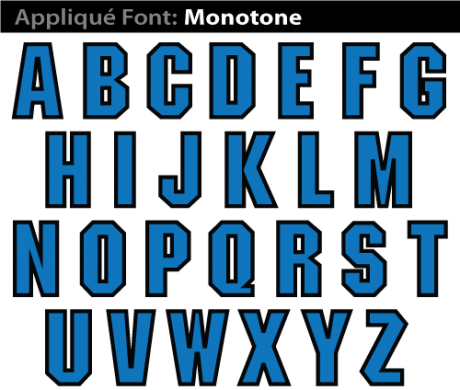 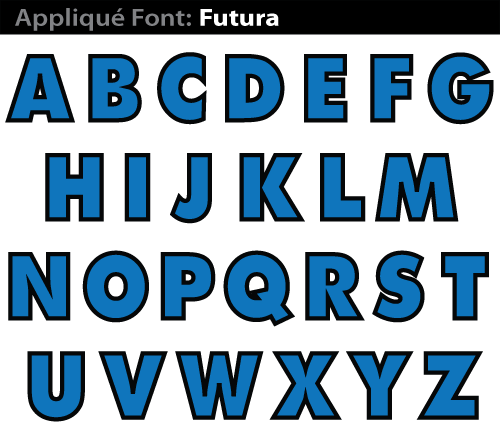 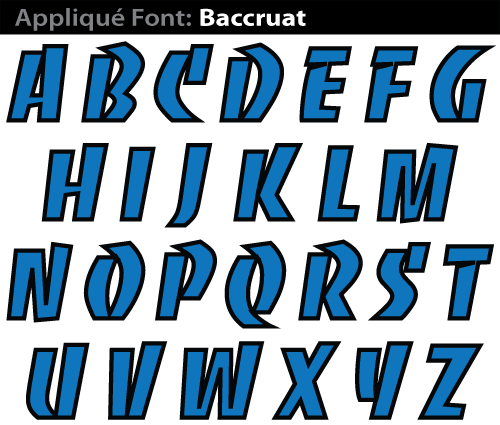 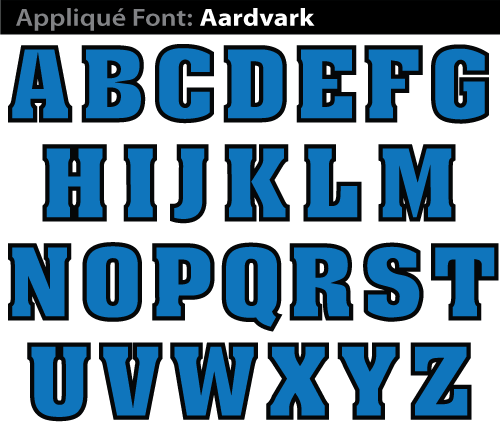 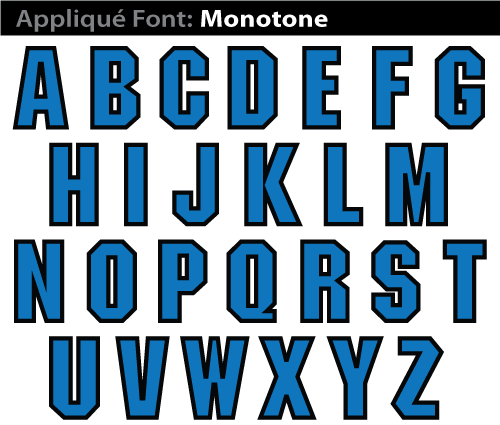 These fonts can be contorted (squeezed or stretched) to fit with your specific design. 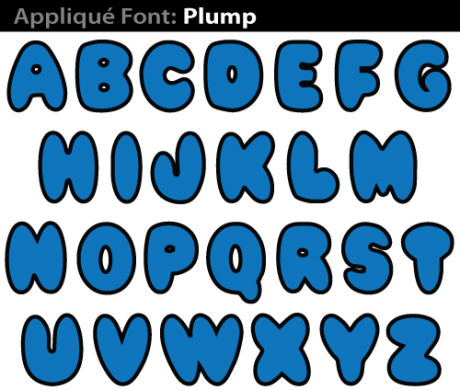 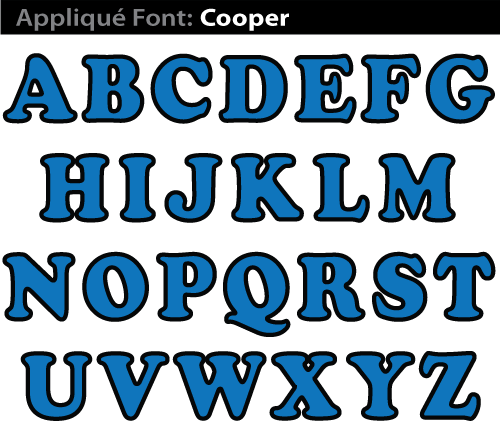 Click onto each font image to see all alphabet letters.